A recent Flat Hat article brought to my attention Professor Elizabeth Barnes’ presentation on trigger warnings to the Board of Visitors, indicating that the debate over their use in the classroom has still not subsided. 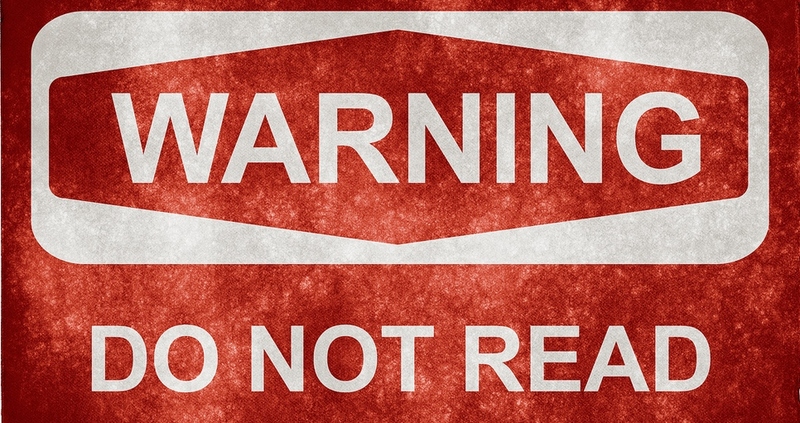 Trigger warnings are alerts that certain content could unsettle those with mental health difficulties and “trigger” symptoms relating to past traumatic experiences. Many view them as beneficial to the safety and well-being of the students, while others view them as harmful both to students and the school. I agree with the former view to an extent; moderate use of trigger warnings, as a disclaimer that content may contain material disturbing to some, is a very reasonable request (any further reference I make to “trigger warnings” is directed at those who wish to extend their use beyond this application). However, I’ll make a case for the latter, albeit in a slightly different manner. Trigger warnings, used in a broader campaign to hide from or eliminate the offensive or challenging, are detrimental to an institution of higher learning, its intellectual atmosphere and to the students themselves. The belief that certain ideas or expressions can be unjustifiably corruptible and damaging, which in and of itself is medieval in its justifications and illiberal in its implementations, is (dare I say it) an offense to the notion of an independent adult looking to take part in any challenging education, or looking to challenge themselves at all, for that matter. That underlying philosophy behind trigger warnings, and similar movements to protect against offensive material, has manifested itself much more nefariously in the past. One such example is the general collection of legal blunders known as blasphemy laws, or laws that punish those who inflict religious offense upon another. If this seems too antiquated of an example, fear not. The last successful blasphemy prosecution in the United Kingdom was Whitehouse v. Lemon, in 1977. With this horrendous ruling, the newspaper Gay News and its editor, Denis Lemon, were fined for publishing James Kirkup’s poem “The Love that Dares to Speak its Name,” which suggested the offensive notion that Jesus Christ engaged in homosexual activity. It must be remembered that the attempt to police the indecent, and to a greater extent formalize the offensive, is rooted in discrimination and oppression. Disregarding the dangers in the underlying principles behind trigger warnings and campaigns to eliminate offense, as well as disregarding scientific evidence, one has to then consider the ramifications of adopting these policies. I don’t want to fall into a slippery slope fallacy, but if it is deemed that students must not be exposed to offensive or discomforting material, what other regulations must be imposed? The labeling of all books in the library that may be relics of different time periods? Controlling which television channels we can access, and the websites we can browse? If legitimacy is given to some policies, it is not unreasonable to then demand similar policies gain legitimacy as well. In no way am I against the reasonable accommodation of mental illness, nor am I against the punishment of those who express baseless, hateful views. However, I encourage others to reject the perpetuation of avoiding controversy and difficult ideas. It is unquestionably backwards to believe that ideas, writings and forms of free speech can be unjustifiably dangerous, and that anyone can be given authority to determine what is and is not worthy of expression. Email Thomas Briggs at tdbriggs@email.wm.edu.